Twitter 101 – The Ultimate Beginner’s Guide – Let's design a better future, together. I’ve had a long love affair with Twitter – it is my favourite social, and professional, networking tool. This is guide I wrote for work colleagues to help them get started with Twitter. I hope you find it of some value too. Twitter is a micro-blogging tool and social networking platform that allows user to share small, bite-sized bits of information (140 characters or less). Your twitter handle is your profile/ address on Twitter – it is always prefaced with the ‘@’ symbol – for example @Beyonce, @KimKardashian. 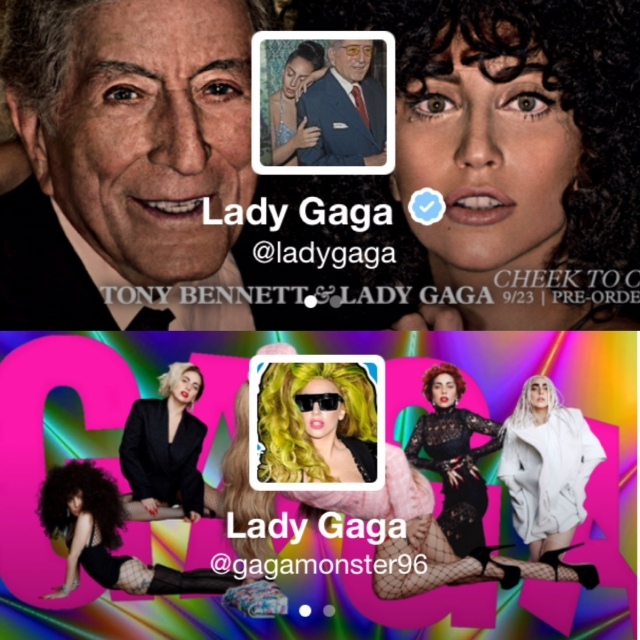 Twitter allows you to use both a profile picture (referred to as an ‘avi’ – short for avatar) and background image. You should upload this as soon as you start otherwise you will default to the twitter ‘egg’ which is commonly associated with spam accounts. The twitter community revolves around followers – you follow people, people follow you. Followers are different to the concept of ‘friends’ on Facebook because a ‘follow’ isn’t automatically reciprocated – follows are often random strangers, there is no obligation to follow back – who you follow is completely up to you. As long as someone’s twitter profile is set to public you can still view their recent tweets – twitter provides a search function to look up names – you can also use hashtags to find people of interest. You can interact with anyone on Twitter at any time – you don’t need to follow them to do this. If your account is public anyone can follow you. However, if someone is harassing you there is an option to ‘block’ a user – this means they cannot interact with you and you will not see any tweets (including retweets) of theirs in your timeline. You can also report them as spam. Don’t automatically follow everyone – be discerning otherwise your timeline may get cluttered with spam – check previous tweets and profile before you click yes. Building followers takes time and effort – best tips to do it quickly are to engage often, provide regular, interesting content and follow other people back. This is the simplest way to interact on Twitter – it is the process of sharing (reposting) someone else’s tweet with your followers. You can retweet the whole tweet or retweet as a quote and add your own comment. For example, hover over the arrow button on the tweet below – it gives the option to retweet if you want. 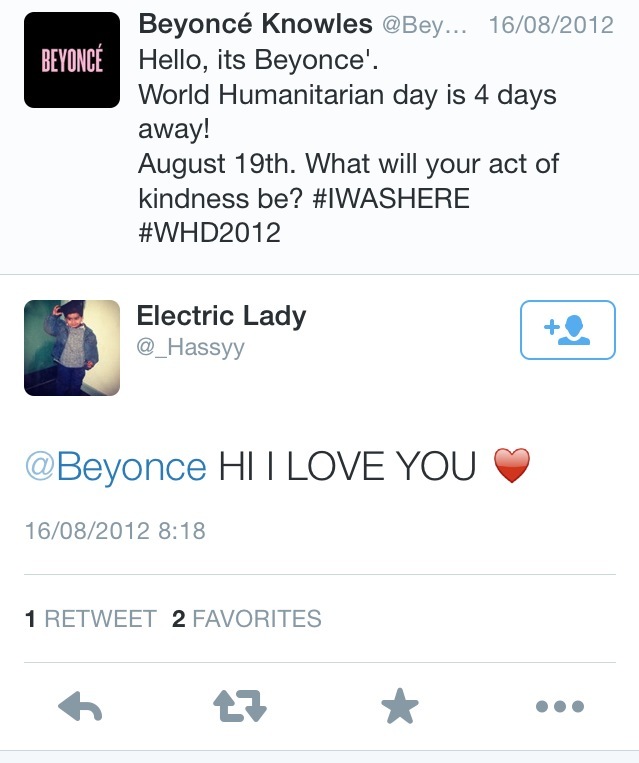 When you use someone’s @handle you are ‘mentioning’ them on twitter – this is the method for communicating directly with a twitter user – below is a reply (mention ) to Beyonce’s tweet above. When you use someone’s handle at the start of your tweet only that person and anyone else who follows both of you will see the tweet in their timeline. Followers who don’t follow both will not see the tweet – in this way conversations between twitter users don’t clog up timelines.
.@spokenli has joined twitter, say hello! @spokenli has joined twitter, say hello! You can also ‘like’ a tweet by clicking the favourite button (star) – this will send a notification to the tweeter and also saves it in your favourites file. Favouriting is also a good way to save tweets or links to read later. If you want your conversation to be completely private you can ‘direct message’ someone on Twitter if you are both following each other. Direct messages will appear in your message tab. Hashtags collate information on a topic into one stream. You can search hashtags or click on them to view everyone tweeting on this topic. 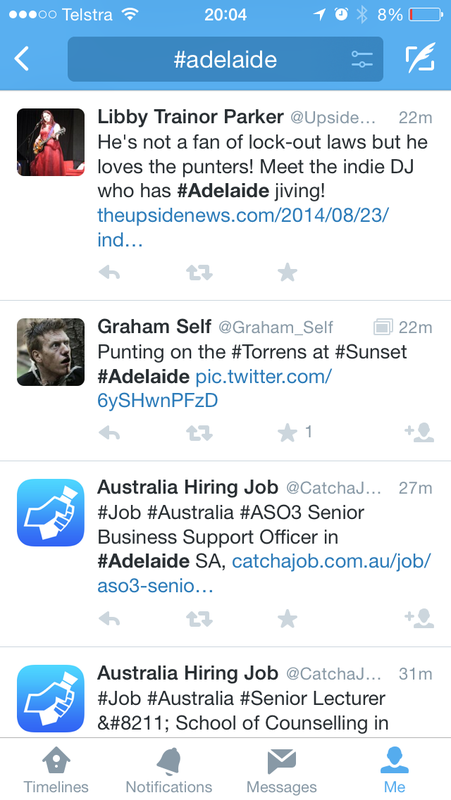 Hashtags are a popular way to drive conversation and engagement around an issue and to make tweets easily searchable. The best tweeters include a mix of: content they share (both information they have sourced and RTs), interesting observations/ ideas they have come up with, images, interactions with their followers and contributions to hashtag conversations – relying too much on one of these may annoy your followers – mix it up! Don’t use too many hashtags – 1 or 2 per tweet is the convention. Don’t DM without reason – people hate spam. A retweet is generally viewed as an endorsement unless you explicitly specify it isn’t – be wary of what you retweet and check it is from a legitimate source first. Ok, but how should I start? Follow your favourite celebrity, journalist or organisation – ask them a question, retweet something you agree with, look at what other people are saying about them.